I am not cooking anything interesting nor I am taking any pictures for a long time now, thanks to my draft pictures am running this blog from couples of month. 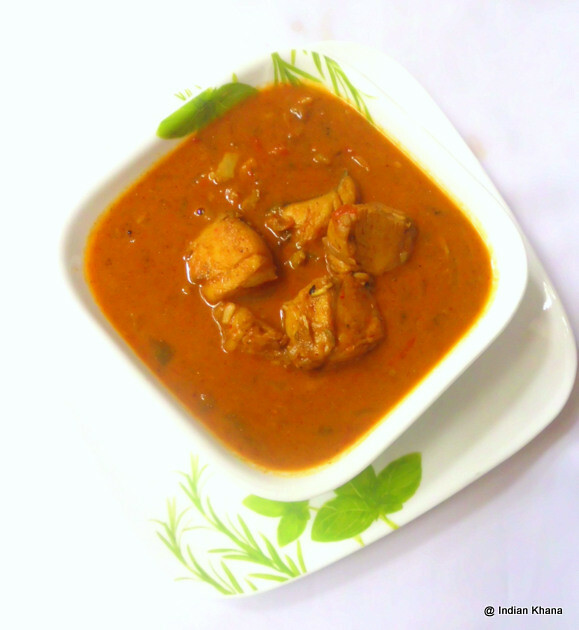 This fish curry too I made quite a long ago and forgot to post, to be precise I made this along with Pineapple Fried Rice and actually this was my first attempt in fish curry not the Fish in Mustard Gravy from there it took off. 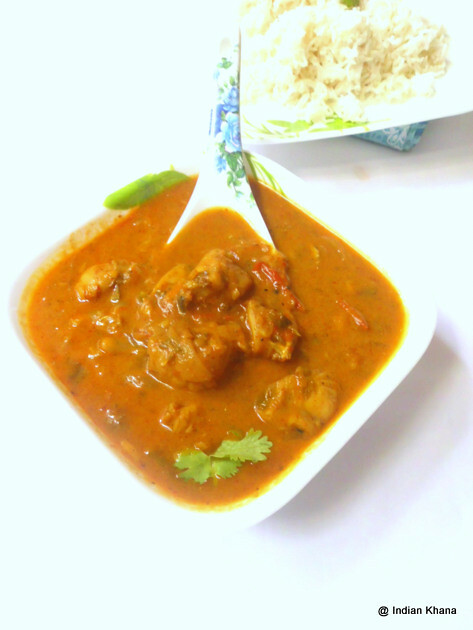 This curry was so delicious that after that I made this multiple times but ya I never tried to take some decent picture again so you have to deal with this pictures only and not to mention I I'm bad with taking fish curry photo, you will know in my future fish curry posts too, the trend continue. But then the focus is more on the recipe than the pictures right? 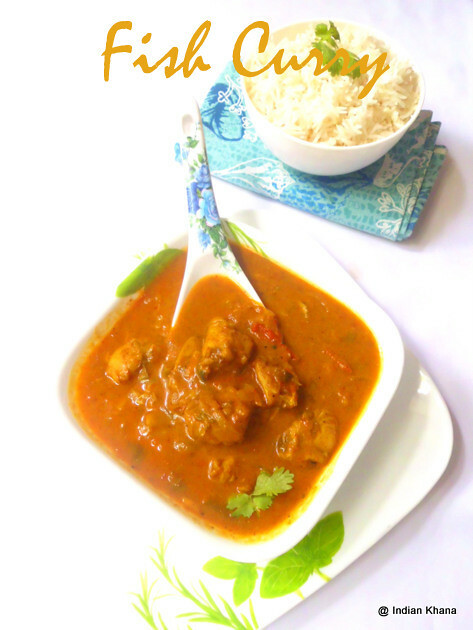 So if you like fish or never tried making a curry then try this and I am sure you going to love this one too. 3. Grind together all the ingredients listed under ‘To Grind’ with little salt and water. Grind tomato to make puree, keep aside. 4. Marinate fish pieces with half of grinded masala for 30 minutes and shallow fry, I normally pan fry like we do for fish fry (meenu varuval). 5. Heat oil in a pan and sauté onion and chilly until translucent, add remaining grinded masala and sauté until oil starts to separate. 5. Now add tomato puree, salt and cook for 2-3 minutes, add 1 cup water bring it to boil, simmer for 2-3 minutes. 6. Add coconut milk and bring it to a boil, add fried fish pieces and simmer for 5-7 minutes or until gravy becomes thick. Adjust salt if required, garnish with cilantro and off flame. Very tempting and yummy curry. Delicious curry..and love the color!! 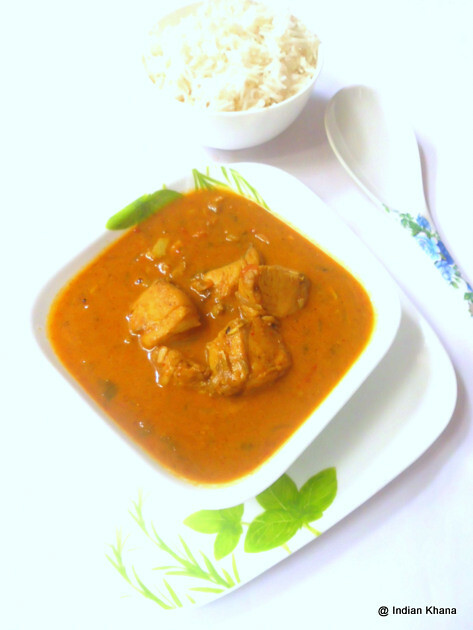 Such a flavourful fish curry, love with some rice anytime. photos are good Priti! perfect with rice.